Hi, we applied Canvas Shield to our bimini top. A month later…. the flock of seagulls arrived, for their annual multi-day visit to our dock! 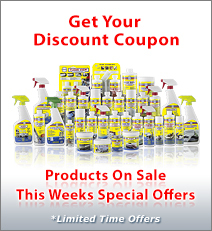 Should we use Fabri-Klean to clean off the droppings? 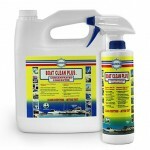 or Boat Clean Plus? what about using something like Simple Green? We’re wondering if any of the above will affect the protection provided by the Canvas Shield? 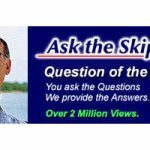 do we need to reapply Canvas Shield after cleaning off the droppings? 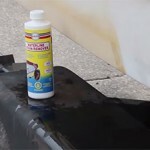 Use Fabri-Klean to safely clean and maintain your canvas. It will dissolve and loosen bird droppings. Wet the canvas with water and then spray on the Fabri-Klean. Agitate it with a soft brush, such as a car was brush and let it sit for 10 to 15 minutes. Agitate again and rinse clean. Repeat if necessary. Fabri-Klean is recommended for cleaning Canvas Shield treated fabrics. Fabri-Klean is a powerful cleaner yet it is formulated to be completely safe for all fabrics, threads, the environment, humans and other surfaces that it comes into contact with. Use of other cleaners, especially household and industrial cleaners can attack the fabric, threads and waterproof coating and is not recommended. 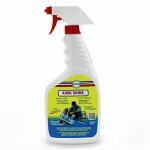 Boat Clean Plus can be used if Fabri-Klean is not available. 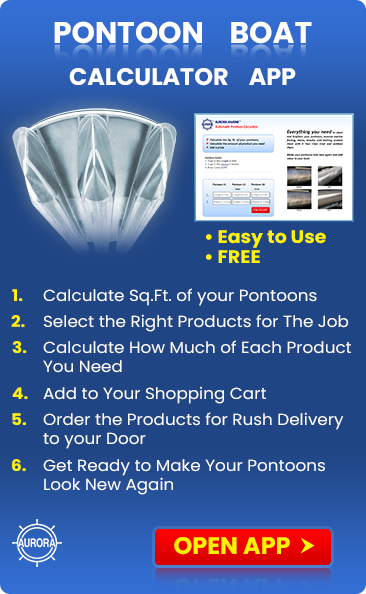 It’s safe for fabrics and threads but it may remove the waterproof coating more quickly. Like any coating, aggressive and repeated cleaning can remove the top layer of Canvas Shield, however, Canvas Shield has the advantage of penetrating into the fabric and coating the entire thread of the fabric, not just the top portion, so it provides more long lasting protection. Fabri-Klean is more gentle to the fabric and coating. The time to re-apply Canvas Shield is when the top begins to leak again. 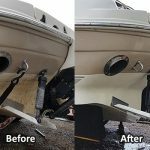 Many boat owners re-apply it annually or after especially aggressive cleaning, as a preventative measure, to insure that the top does not leak.